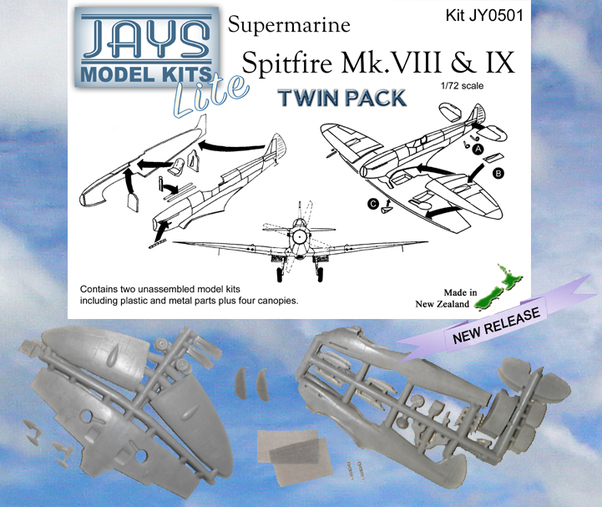 Introducing JAYS Model Kits new 'Lite' range of model products. This twin pack contains the plastic and metal parts plus four vac-form canopies to make two model kits. It is possible to either model the Spitfire Mk.VIII or Mk.IV or both. This product does not include decals or painting guide.